Happy Trails Senior Resort Living in Surprise, AZ is where the ladies of the Happy Trails Baking Club meet weekly, swapping desserts and recipes. But when these four friends start swapping stories about their “first time”, one of them bakes up an idea: to take a road trip across the country, revisiting each location where they lost their virginities. Tears, laughter, memories and secrets are all revealed as each friend shares the details about their first time. 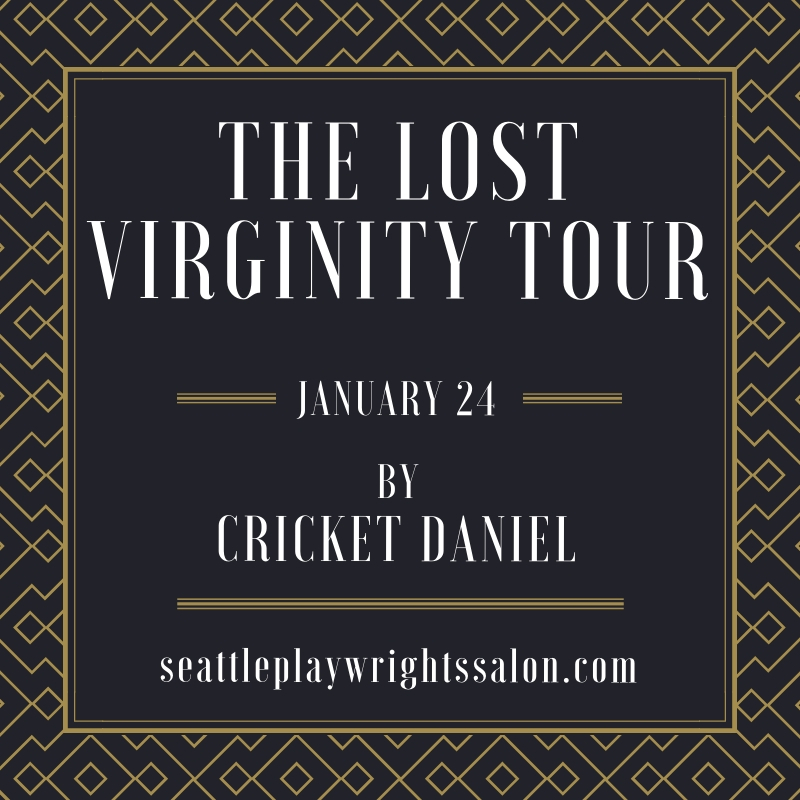 Join us for our first show of the new year on Thursday January 24th, 2019 at 7 p.m. at Palace Theatre & Art Bar, located in Seattle’s Georgetown neighborhood at 5813 Airport Way South, Seattle 98108. Beer, wine, and cider will be available for purchase before and after the show, and during intermission. Rachel Rene is a Seattle-based actor, director, and stage manager who has worked in and around the Seattle area for over 30 years. Recent directing credits include Ben Butler at Burien Actors Theatre and Nightingale (a new musical) with HEARTS (http://heartshealtharts.org/). Besides directing staged readings for Seattle Playwrights Salon, Rachel Rene is also a performer with Living Voices, Theatre for Young Children, and Intergenerational Theatre Company, and regularly stage manages for ReAct Theatre, along with training new stage managers. <3 to Rx. Masaye will be 72 this Year of the Boar, 2019. She is happy to join the cast of The Lost Virginity Tour as Elaine. Previously she has been in Crimson Chimera a video short currently submitted to a variety of Film competitions. And previous to a long break, Masaye was in several stage plays including, Miss Minidoka 1943, The Gambling Den (both at NWAAT), and Julius Caesar with Seattle Repertory Theater.